Van Wert Mayor Jerry Mazur said that time would be needed to explain and educate citizens concerning an understanding of such a government in order to prepare them for such a vote. 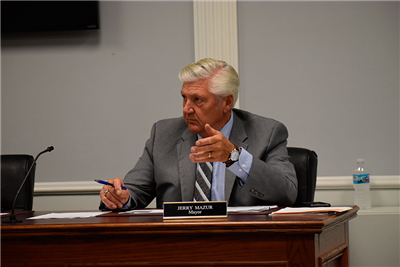 Council members gave feedback to discussion from an Ohio Municipal League spokesman who visited the council several months ago. The biggest benefit to having a charter form of government is flexibility versus Van Wert’s current statutory form of government, noted council members. “Cities must write and adopt a Charter,” said Mazur. “The Charter is akin to a municipal constitution that is written and adopted by an election of citizens (such as the March 2020 ballot placement). “The Charter defines and limits the powers, duties and responsibility of local government preferences and desires. It defines the form of local government and establishes organization provisions,” added Mazur. Charter government is the privilege of citizens at the grass roots level to manage their own affairs with minimal interference from the state. Charter assumes that government issues should be solved at the level closest to the people. Charter government cities have the full power of self-government and may take action in the interest of the citizens’ health, safety and welfare that is not contrary to federal and state laws. Mazur noted that there will be curbside brush pick-up on May 13, July 8, and Sept 9. In addition, biodegradable bags can be used on May 13 only. The Mayor also noted that there will be a “Beautification Contest” retroactive to March, if pictures are available to reflect landscaping or home renovation projects at the time. Beautification judging will take place in structural landscape and residential landscape. Those judged in the top three spots will receive special prizes, said Mazur. Auditor Martha Balyeat noted that 12.5 million was available at the end of March, the same was available in the bank account. “Actually, by comparison of other years, we are pretty much where we always are this time of the year,” said Balyeat.